Too often, home buyers are disappointed when they find their dream home only to discover they are not able to get a mortgage to purchase the property. There are methods that potential buyers can use to ensure this does not happen to them. One of these options is to ensure you obtain a pre-qualification from your lender. It is important to understand the difference between a pre-approval and a pre-qualification. While both are helpful, they do not carry the same weight. What Are The Differences Between These Options? 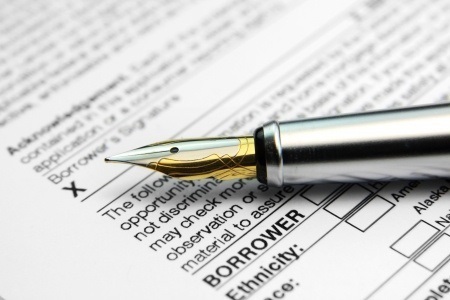 A pre-qualification allows a borrower to determine how much money they may be able to borrow. For most borrowers, this allows them to start the house-hunting process with a mortgage amount in mind. Borrowers should understand, while the loan amount can be calculated, changes in interest rate as well as the borrowers credit are not evaluated in this process. In general, the lender will request specific information from the borrower including income and expenses as well as ask about their credit. None of this information is verified by the lender before sending a pre-qualification letter. On the other hand, a pre-approval requires the borrower to provide a number of documents to the lender, typically the same documents borrowers need to apply for a loan. Oftentimes, this leads borrowers to speculate as to whether a pre-qualification is useful. Home prices – if a borrower is eligible for a mortgage of $200,000 they will know they will have to seek homes in a specific price range. If a borrower is only able to put down 10 percent, they know the maximum home price they can afford is $220,000. Down payments – in most cases, borrowers who can afford to put down a large down payment will have more options available to them. In some cases, understanding how much mortgage a borrower may qualify for beforehand allows them to save additional money for a down payment. Estimates of dollars needed – another advantage to pre-qualifying is borrowers can get an idea of what additional closing costs they may need to qualify for a mortgage. This can be very helpful for a first time home buyer. Pre-qualifying for a loan can save a home buyer from being disappointed. There are few things that are more upsetting than finding a home you love only to discover you are not eligible for the loan you need in order to purchase that home. If you’re contemplating a pre-qualification, call your trusted mortgage professional today for more information.